FIFTEEN of the 18 AFL clubs have added a new ruckman to their list since the Western Bulldogs won the flag with two makeshift ruckmen in Jordan Roughead and Tom Boyd. Only Adelaide, Carlton and Greater Western Sydney did not use the NAB AFL Trade Period, NAB AFL Draft or NAB AFL Rookie Draft to add depth to the position. The Crows elevated Reilly O'Brien to their senior list while the Blues already have six players 200 centimetres or taller on their list. Greater Western Sydney re-signed former Cat Dawson Simpson for another season as insurance to Shane Mumford, Rory Lobb and Tom Downie. The lack of tall timber coming through the ranks combined with changing rules continually altering the role has seen clubs look at all sorts of avenues to find ruckmen capable of backing up the senior crew in the short term at least. Geelong's selection of Ryan Abbott surprised many despite the fact he'd proved he could ruck against AFL players in 2016 when he took it up to Melbourne's Jake Spencer in a late-season VFL game. 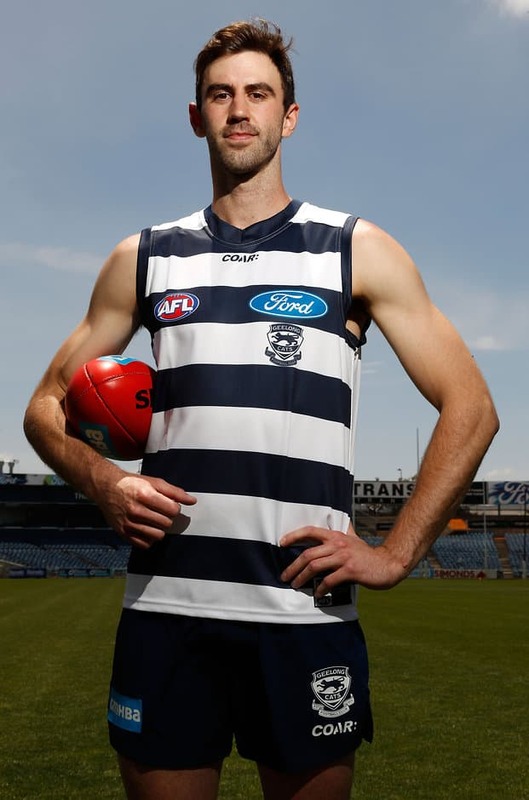 That performance was enough to convince the Cats to use their final pick in the 2016 draft on the Grovedale Tigers product although he had spent the bulk of his season playing local football. Abbott, 25, played basketball instead of football between the ages of 14 to 21 but showed he had what it took when he returned, winning consecutive best and fairests for Grovedale. His selection is just one example of the changing scene for many who want to play in that specialist role. "I can't stress enough to boys who don't get drafted out of the TAC Cup that your career is not done," Abbott said. "You have just got to go back to a lower level and play as well as you can and people will come knocking." Sydney's Darcy Cameron sunk into his couch and put his hands on his head when his name was read out with pick No.48 in this year's draft. Overlooked in three previous drafts, the Claremont product kicked 36 goals this season and played against AFL defenders in the state league. He did not dare to think it could happen and was overwhelmed when he heard his name. He told sydneyswans.com.au post-draft he had dreamed of joining an AFL club for years. "Just to be here (at the Sydney Swans) is amazing," Cameron said. Melbourne had its eyes on Sandringham's Lachlan Filipovic and his cause was helped when the League's No.1 ruckman Max Gawn kept mentioning his name to the Demons' recruiting staff. And of course, Essendon selected Sam Draper with the first pick in the rookie draft, happy to take him although he had only played his first game of Australian Football this year. The Bombers had not long ago moved Jonathan Giles on to West Coast where North Melbourne veteran Drew Petrie has joined him this season, the shelf life of both players helped by their ability to play in the ruck. It's why Abbott knows better than most that ruckmen should never give up on the hope of being on AFL list, with his belief growing after he played against Spencer. "I had some really good feedback from the coaches, and some of the senior coaches as well were pretty impressed with how my game was coming along," Abbott said. "That’s when I thought I might be able to make something of this. "They were really happy with how I competed against another solid AFL-quality ruckman, just that bigger body."